Oh Ulrika May, what you do to me! 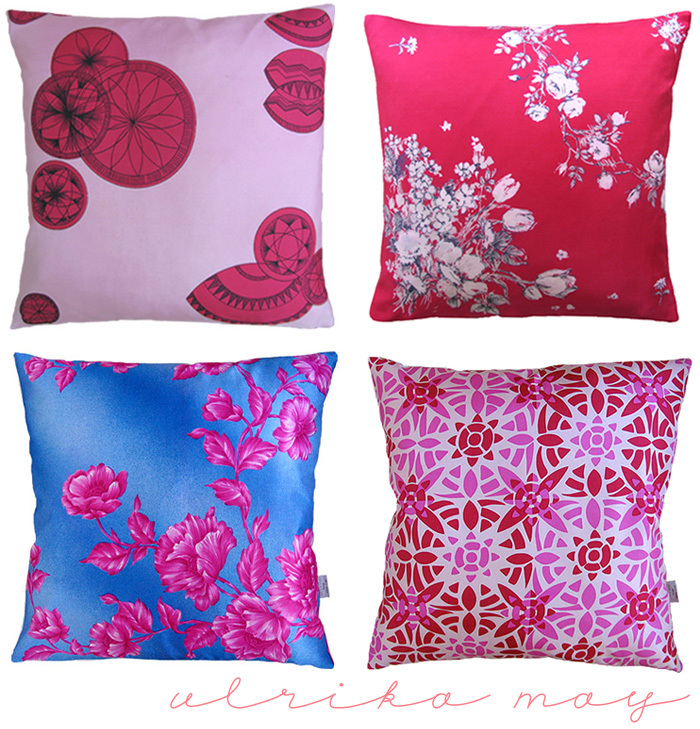 Ulrika May Pillows are so pretty, made from vintage silk scarves and repurposed into perky pillows. What a nice way to begin the week - bursts of juicy color! "These once-loved pieces have all their own stories to tell. Originating from the forties, fifties, sixties and seventies they have been kept precious at a time when life was at a slower pace and possessions were lovingly cared for. All scarves have been collected by Ulrika from antique fairs and flea markets in Great Britain and other cities around the world. " What a charming description. 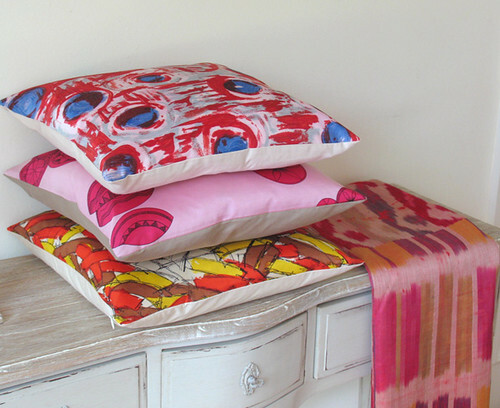 I'm so glad I found out about these lovely pillows via LiviaConcept. HGTV Design Star - Your Thoughts?